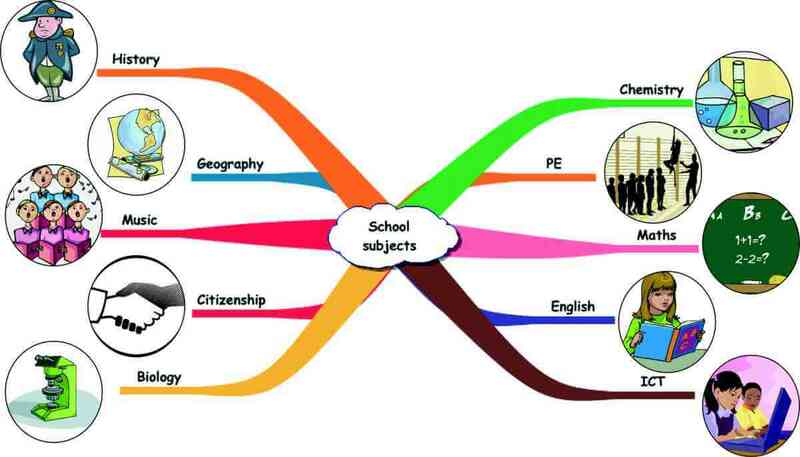 Speaking activities are the most important component of English courses using communicative approach. However, it is very difficult to find quality speaking activities that would work. That is why I would like to publish a speaking activity here once a week. All the activities will be based on the recommendations given by Keith S. Folse in his wonderful book The Art of Teaching Speaking. In the first post I offer you two pair speaking activities using school subjects and the verb HAVE. Let’s start! To be able to complete the task successfully, students will need the following sets of language: the verb HAVE (or have got) and the names of the school subjects. The other set of language your students need to know is the usage of the verb HAVE for questions like “What subject has she got on Monday?” or sentences like “She has chemistry on Monday at 11 o’clock.” You can find materials for teaching the verb HAVE GOT here. Once your students know the vocabulary and grammar you can move to the next part. Please, do not skip this step. Otherwise, your students might be either very quiet or use their native language to accomplish the tasks. In my experience students speak most when they work in pairs or groups of three. In bigger groups some students tend to dominate the task and some opt for not doing anything. That is why all of these tasks are designed for pairs or small groups. The first activity is called Information gap. In this task students trade missing pieces of information to complete their sheet. Hould up an example of the two sheets and explain that you’ll give each pair an A sheet and a B sheet. Each sheet has a school timetable, but each sheet has only part of the timetable. Pairs need to work together to find out their missing information so that they end up with two complete and identical sheets. Distribute the papers. Tell them not to look at each other’s papers. Let the students do the task. Once they finish they can show each other the sheets and compare them. In this task, students work in groups of three and they take turns asking yes/no questions to identify the picture that one student has in mind. 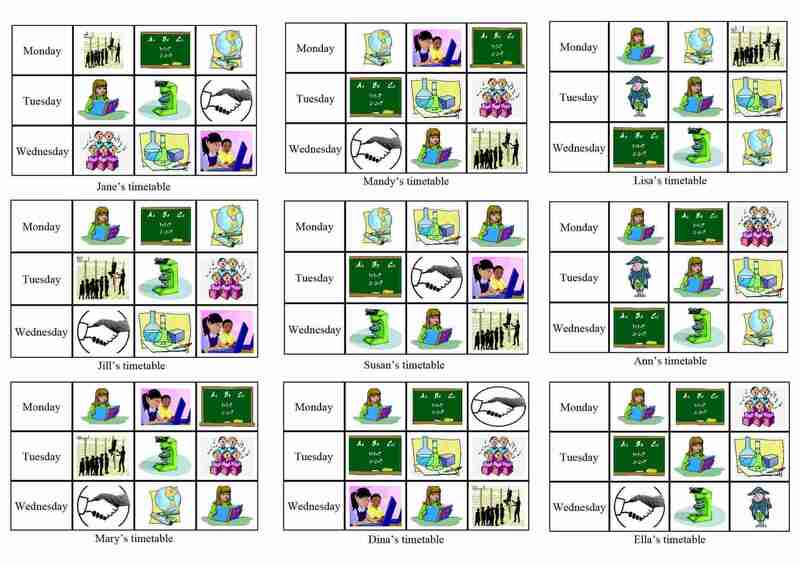 Print out one copy of the sheet (all 9 timetables) for each student. Hold up one of the sheets and show everyone that the sheet contains nine timetables that are similar yet different. Students need to listen, think and then ask questions so that they can guess which picture the person is thinking about. Put the students in groups of three. After B or C has guessed A’s timetable, then A and C try to guess B’s timetable. Finally, A and B try to guess C’s timetable. The winner is the student who guesses most timetables.